OPTC Guideblog: Whitebeard Pirates Batch II Sugofest!! Whitebeard Pirates Part II Batch Review!! Sugofest is back for Global!! For a complete list of all units getting a Rate Up, click here. As many of you may or may not know, Sugofest is coming back on the 23rd September for 24 Hours. 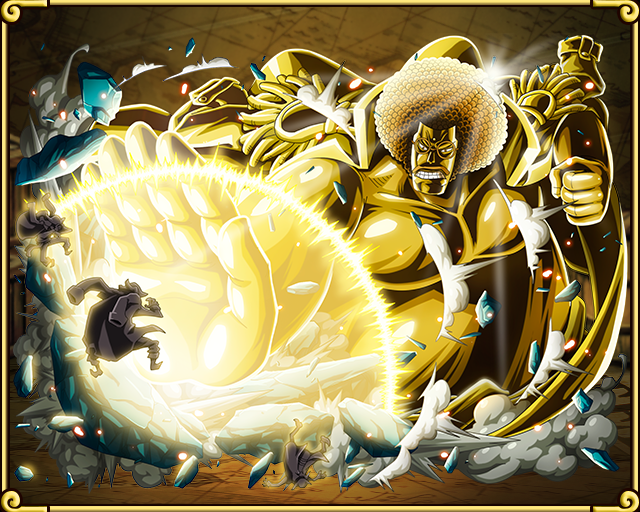 It will bring forth a new batch of Characters that have been dubbed as the "Whitebeard Pirates v2 Batch". To assist with decisions involving to pull or not - this article will serve as a review for all the upcoming units. Thatch is a fairly underestimated unit - but will see play time and time again for those lucky enough to pull him. As a 3x ATK Captain, Thatch is the top pick for Red Turtle Islands as well as QCK Burst teams. Thatch has the privilege of cleaning up every STR Raid Boss in the JPNese edition of the game which is a testament to his longevity and strength. His Special is an effective and reliable "orb-manipulation" as it boost your team's damage output by a fair amount across the 3 turns. While it isn't guaranteed, it has a fairly high chance of getting a [QCK] orb - with the estimated odds (Gathered from battle data) at around 50% chance of getting a [QCK] orb which is a significant boost from the usual 1/7 odds. Thatch's stats are decent with no glaring faults. He has a fairly high recovery for a Slasher which makes Thatch decent if you run a QCK Slasher Team. 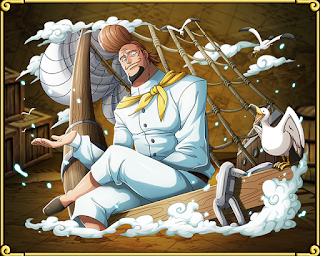 Overall, Thatch's weakness comes from the fact his Captain Skill isn't used very often (thus difficult to find friends) and the fact the special is still chance-based (despite the good odds). That being said - Thatch is a decent unit in his own right and should not be underestimated. Namur is a fairly interesting unit but is rarely used - due to Fighters being a rather weak class. That being said - if Fighters are going to be run, Namur is a good addition to consider. 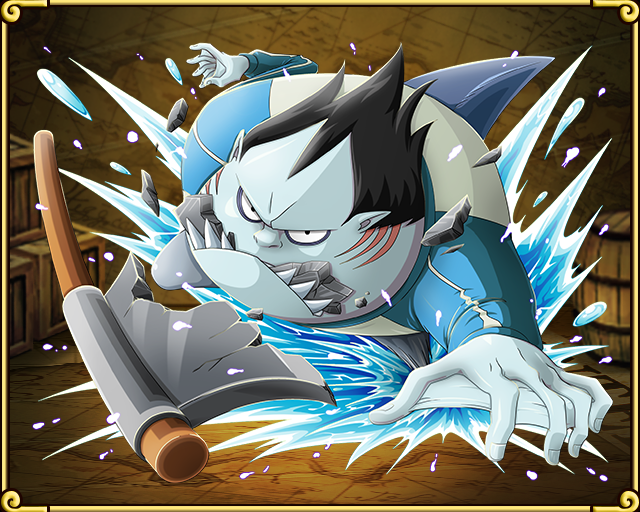 Namur is the third playable Fighter Captain in the game (aside from Zeff and Jimbei), He adds a bit of tankiness to the team should you need it/prefer the higher health. Due to Fighters being a rather underpowered class (compared to classes like Slashers and Impact), Namur will likely not see much play as Captain. This unit does shine in Fighter teams as a sub, due to his special. He can be an ATK boost which is extremely valuable for maximizing your team's damage output. Namur's arrival will definitely boost the viability of the class to put it above Shooters until the next Raid Boss, Zephyr arrives. Namur stats are fairly strong with an fairly high attack of 1,303. This makes Namur a solid contender for Fighter teams. Namur's weaknesses are that he's not very flexible. He can really only work in Fighter teams as DEX has a LOT of great units to choose from (Mihawk, Law, Smoker, etc.) and the fact that Fighters aren't played that much. But if used on a Fighter team, he will shine with his high attack and ATK boosting special. Rakuyo of the Morning Star is an unit that is trying to be flexible with a Captain that works for Striker teams and a special that works for PSY teams. Unfortunately for Rakuyo, his special (while interesting) is often passed over as teams can generally stall on their own and still have specials up. It's also generally not worth sacrificing your ATK boost for something like Cooldown reduction (which you can get from 2x HP/ATK by tanking some hits). Note that the Special Cooldown is NOT permanent, meaning it will return to its regular cooldown after use (also what reduces its usability). 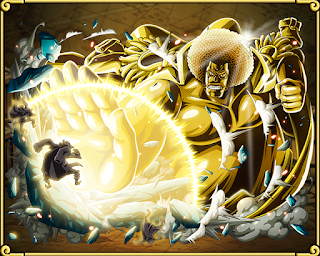 Rakuyo's Special is actually fairly interesting - in an age where Gear Third and Rayleigh are seeing a fair bit of play - Rakuyo (and/or an orb switcher) can be used to guarantee [PSY] units to your last 2 units (hardest-hitting). This will put Rakuyo is a spot to be considered against INT Raid Bosses on such teams. Rakuyo's stats are decent - while PSY units generally suffer from lower stats, Rakuyo only suffers for a slightly lower health (compared to other Rare Recruit attackers). He features one of highest Attack stat for a PSY unit and has a decent Recovery (a trait typical of PSY units). Rakuyo's flaws are that his uses are actually fairly limited. 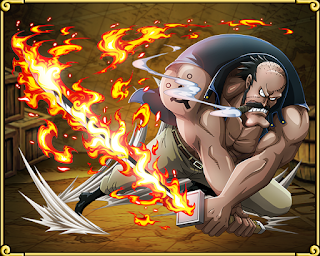 His Special discourages using him as Captain and even as a sub, there are better units for the job such as Garp. That being said - if used effectively, you can do very tricky orb manipulation plays to run a rainbow team and decimate opponents. 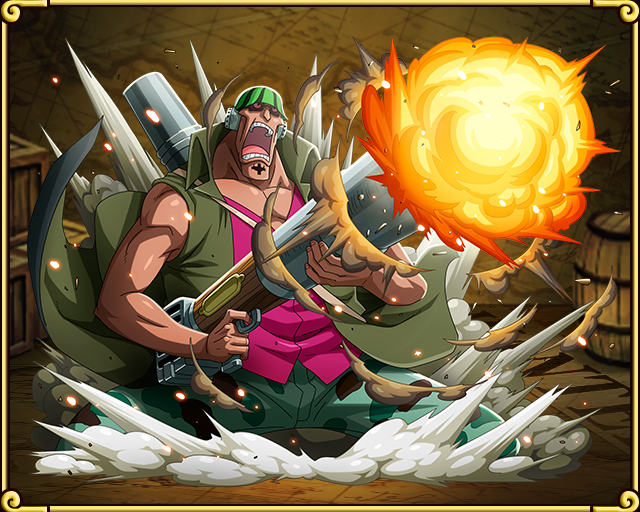 Fossa was a very hyped Captain upon its initial release - with the potential of doubling damage of massive specials like Monster Chopper, Kidd and Arlong. Fossa's Captain Skill has been tested time and time again. And while it's shown that it can take on foes like Mihawk - unfortunately (like Whitebeard), it does take a lot of effort to constantly stall for Specials which takes away from its practicality. Thus, Fossa (while usable) will likely not change the meta as Captain as it has low practicality and there are better options such as Whitebeard. Fossa's Special is incredible for STR units as an ATK booster while dealing damage (similar to Namur). It's fairly flexible with being usable with STR Slasher Teams (Mr. 1/Arlong/Fossa/GP Usopp) or in pure STR teams. This unit is more or less a "must-have" for all top-tier STR teams and will be a valued pull. The fact that his special deals damage is also important as it gets a boost from Fossa if he is Captain. Fossa's stats are strong from all corners (typical of Slashers) with a high 1,388 attack. He can be run without hesitation on any STR team that you may construct. Fossa's flaws are his rather impractical Captain Skill and his rather bleak future. The next batch will introduce a 2x STR ATK booster which will compete with Fossa on all levels. While Fossa DOES have some advantage over the future units, he will gain some competition which will question his slot in teams. Shooters begin to show why they are the "Kings of Orb Manipulations", Curiel can be considered the first Rainbow team Orb Manipulator and has a myriad of interesting uses. First off, Curiel's Captain Skill is fairly bad and is unlikely to see play. While Shooters' best Captain currently is Tsuru, Curiel is honestly not that much better... If you plan to run a Shooter team, its better to wait for the next Raid Boss - Zephyr which will provide a 2.5x ATK for Shooters. Curiel's Special is where he really shines. While a rather odd Special, it has plenty of uses from pure INT teams to Rainbow teams. For pure INT teams, using units like Towel Nami and Gekko Moriah, you can covert 4 or more orbs to INT. This will allow INT team a form of orb manipulation. For Rainbow teams, you can organize your team to maximize the usage of Curiel's rather orb manipulation (placing STR/DEX units in the middle row and PSY/INT units on the bottom row). This Special's effectiveness is only limited by the player's team-building skills and creativity. Curiel's stats are pretty good with a nice health and a high attack stat. He doesn't have much glaring weaknesses which ensures that his stats will not be the factor that determines if Curiel gets a spot on your team. Curiel's flaws are his rather poor Captain Skill and the fact that it is a little tricky to use him effectively. This doesn't mean that he's bad by any means but will require a bit of creativity to maximise his potential. The Legend that have sparked quite the controversy. It has garnered quite a lot of argument as to the strength and effectiveness of this unit. As a 3x ATK Captain, Sengoku holds one of the highest hitting multipliers in the game. It however, suffers from a limitation that will ensure that units that cost 21 or above will not receive the buff. As such, Sengoku himself will not receive the buff. Effectively making you battle with 4 units that are 20 or below cost. This puts Sengoku teams' damage below all Legends - past, present and future. The other half of the Special which reduces the Cooldowns of all units helps to try and balance out the Captain effect. With a lower special cooldown, most units will not have to stall for as long and some (previously unusable due to being "unable to stall) will become playable. 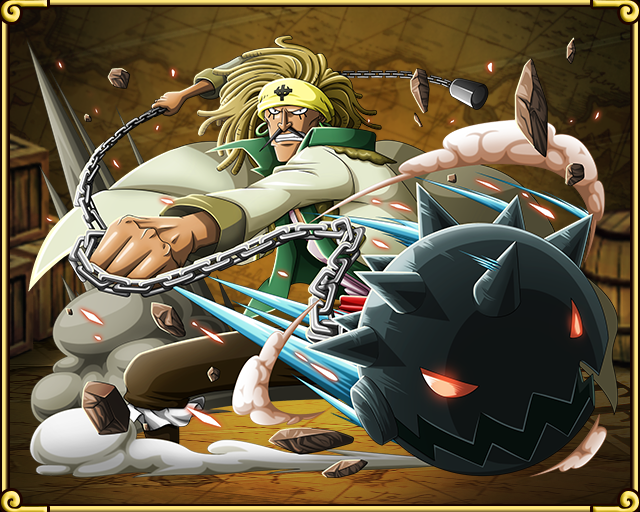 Sengoku's Special however, is fairly powerful and versatile. It deals large PSY damage which can range anywhere from 20,000 to 200,000 damage while being an ATK boost to all units. It will have a lot more effectiveness in Rainbow teams due to the uniqueness of the ATK boost but can see play in both Fighter teams and PSY teams. As such, Sengoku can find position as a sub in quite a few teams. Sengoku's stats (as a Legend) is definitely not terrible but at the same time - he probably won't need them as he won't be getting his own attack boost (thus not dealing too much damage regardless). If you do use Sengoku as a sub though, you will have no regret doing so. Sengoku's flaws is his team's damage ouput. While it is higher than the average 2.5x ATK team, it is low for a Legend team and is what sparked the controversy of Sengoku being the worst Legend in the game. However, Sengoku is a very practical and one of the most usable Captains in the game with an a fairly large pool of Characters to choose from (arguably larger than most Captains in the game). With that, we hope that you can make an educated choice of whether you wish to pull in this Sugofest. All the units in this batch are fairly niche with fairly limited uses, but when they are used - they are the best at what they do.